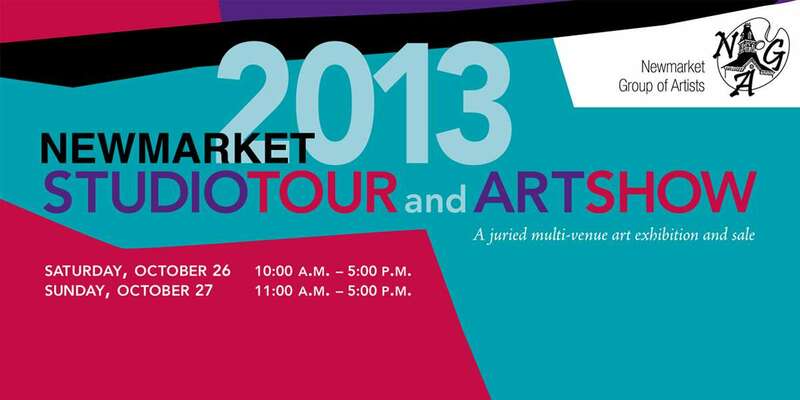 The Newmarket Group of Artists (NGA) cordially invites you to participate in our 5th annual Studio Tour and Art Show. This year the tour includes 23 artists and one collective in 12 venues and encompasses a wide variety of mediums including metal, glass, paint, and photography. We welcome several exciting new artists and congratulate returning artists. We all look forward to reconnecting with previous visitors and customers and introducing new guests to our work. As well, we are thrilled to have the Huron Heights Student Art Collective exhibiting and selling work from emerging portfolios. These students represent the next generation of art for our community. All this so close to home! The NGA continues to strive to support local artists and to this end we have established an NGA Membership. It is through our Membership we are able to offer marketing and technology workshops to members, as well as additional exhibition opportunities. So please, won’t you join us this year? Follow our maps and see Newmarket from an entirely new perspective! We look forward to seeing you October 26th and 27th.